The book of Revelation, also called the Apocalypse of John, encourages Christians to be faithful to their Lord, Jesus Christ, through a rich mixture of symbolism and images. Perhaps the most puzzling book in all Scripture, Revelation introduces bowls and scrolls, saints and angels, horsemen and beasts, the bride and the lamb, in a wondrous end-times drama. The scene shifts from cataclysmic battles to the climax of a new heaven and new earth. In the end, the reader is exhorted to heed the words of this stunning prophecy. 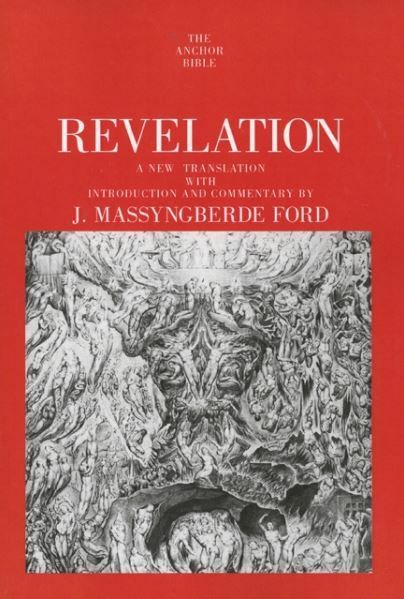 Dr. Ford addresses the seemingly infinite questions surrounding the book of Revelation. Issues of authorship, date, literary composition, theology, audience, purpose, and the meaning of John's now obscure symbolism occupy Ford throughout. Traditionally, Revelation is the final New Testament book, but its theology, imagery, and historical content suggest it might be the transitional link between the Hebrew Bible and the New Testament. Contrary to general scholarly opinion, Ford identifies the writer as the Hebrew prophet and forerunner of Jesus, John the Baptist, not John the Evangelist. She conjectures that the Baptist spread his fiery apocalyptic visions decades before the first Gospels were completed. Along with a fresh new translation of the book, the author's insightful commentary and unique conclusions make for captivating reading. In light of both ancient writings and recent archaeological discoveries, Dr. Ford shows what this baffling work meant to first-century believers, and what it means for Christians today. J. Massyngberde Ford is Professor of New Testament Studies at the University of Notre Dame in Indiana.